Night train NJ 421 from Düsseldorf to Innsbruck. Where to buy tickets. 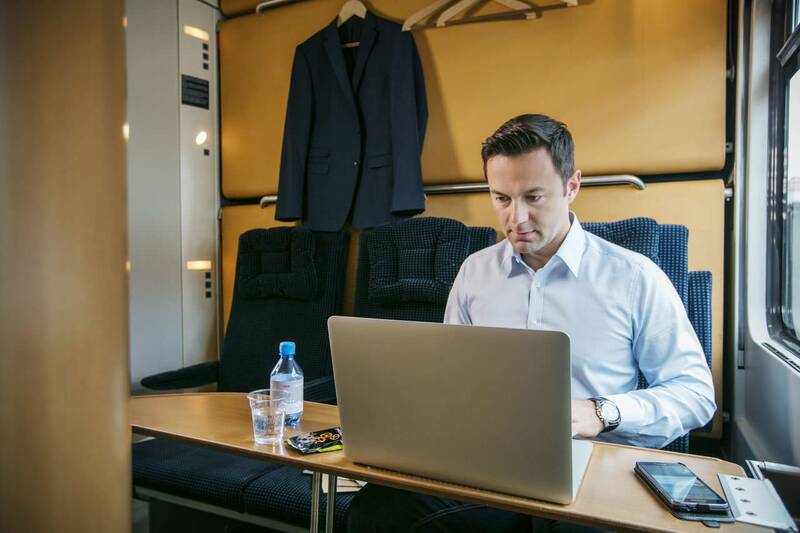 Schedule information, seats, couchettes and sleepers. Comfortable "nightjet" night train from Düsseldorf to Munich and Innsbruck. Travel overnight from the Rhine to the Isar and onwards to the Austrian Alps. 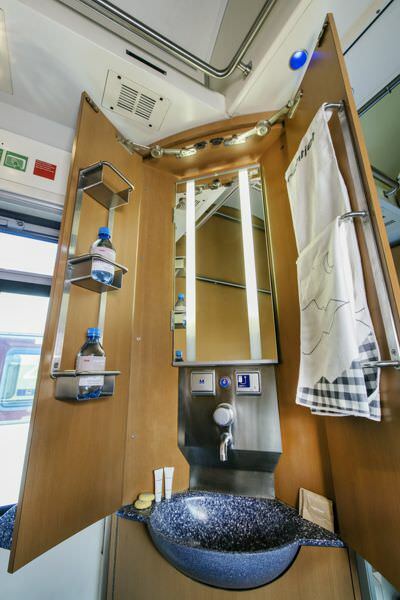 Operated by ÖBB, the nightjet offers premium comfort in three categories: sleeping car (standard and deluxe compartments with up to three berths available), couchette car (four or six berths per compartment) and 2nd class coach (six seats per compartment). Passengers in sleeping cars can choose from standard and deluxe compartments. Deluxe compartments have ensuite shower and WC. Standard compartments have a washing basin. 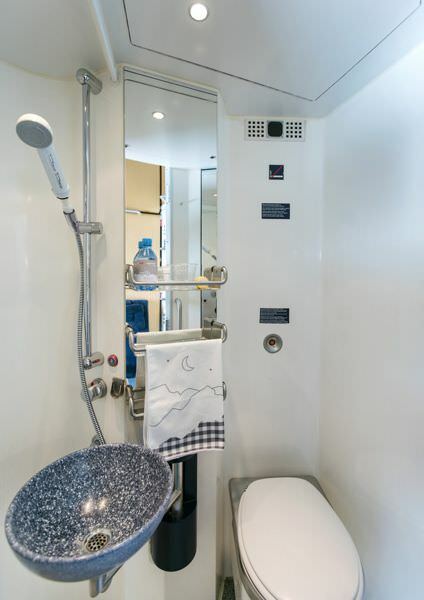 Public shower and WC are available at the end of the carriage. Passengers are welcomed with a goodie bag, including ear plugs, slippers, towel as well as a small snack and sparkling wine. 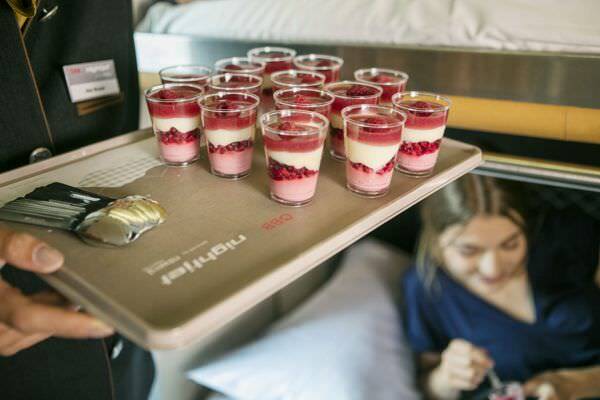 Breakfast is included for all passengers in sleeping cars. Six components of a large menu are included, extra components cost 1,20€ each. Free refill for hot beverages (coffee/tea/hot chocolate). 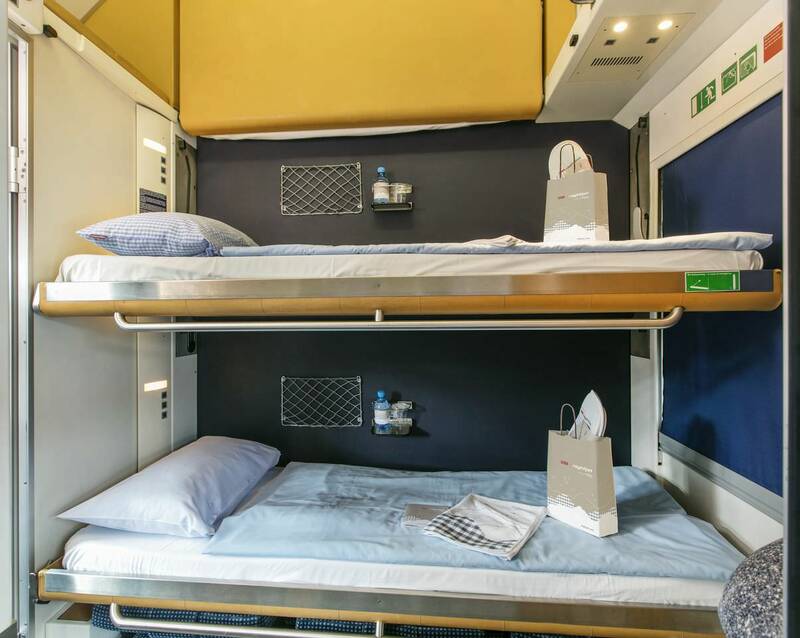 Couchette cars have four or six berths per compartment. WC and washing rooms are at the end of the carriage. 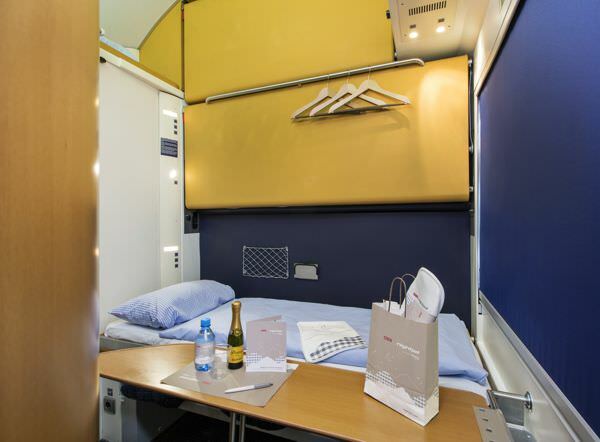 A couchette compartment for the disabled is available. 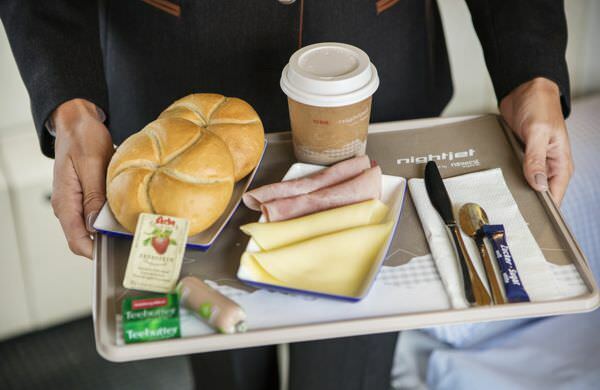 Travellers in couchette cars get a complimentary small breakfast (coffee/tea and two rolls). 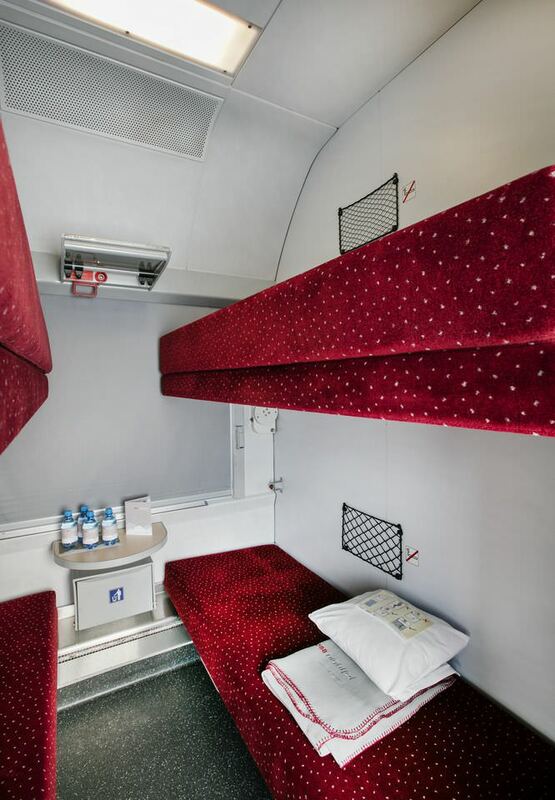 2nd class coaches have six seats per compartment. All coaches have air-condition and electrical plugs. Snacks, drinks as well as toiletry can be bought from the stewards in sleeping and couchette cars. Bicycle transport possible. This train daily conveys car carriers from Düsseldorf to Innsbruck. 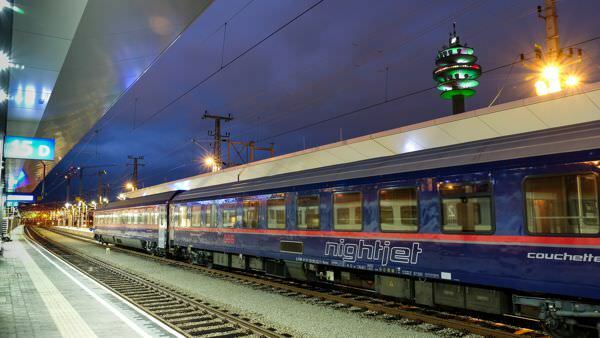 The train runs combined with the nightjet from Düsseldorf to Vienna until Nuremberg and runs combined with the nightjet from Hamburg to Innsbruck from Nuremberg.